Being well-adapted to running around in the desert is what encouraged Aravaipa Running to adopt a javelina as their racing mascot for the 2017 Javelina Jundred. Aravaipa Running named their adopted javelina Jarriett (pronounced like Harriet). Now if we can only figure out which one she is exactly! While javelina identify each other using their keen sense of smell, we have a hard time telling them apart, by nose or by sight. We do have big hearts for these relatives of the camel, hippopotamus and yes, swine. Though javelinas share the iconic pig nose with swine, they have little else in common with them. First and foremost, javelina are native to the Americas and swine are not. Javelina come to us on a regular basis as orphaned reds (baby javelina), injured or from being kept as illegal pets. 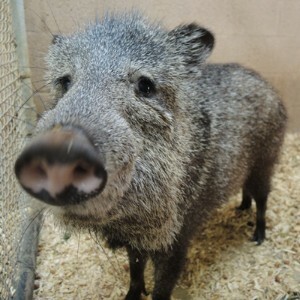 Sponsoring Jarriett helps to pay for the care of all javelinas at our center. Check out this cool video Aravaipa Running made featuring Southwest Wildlife! CLICK HERE to help save our wildlife, one life at a time.